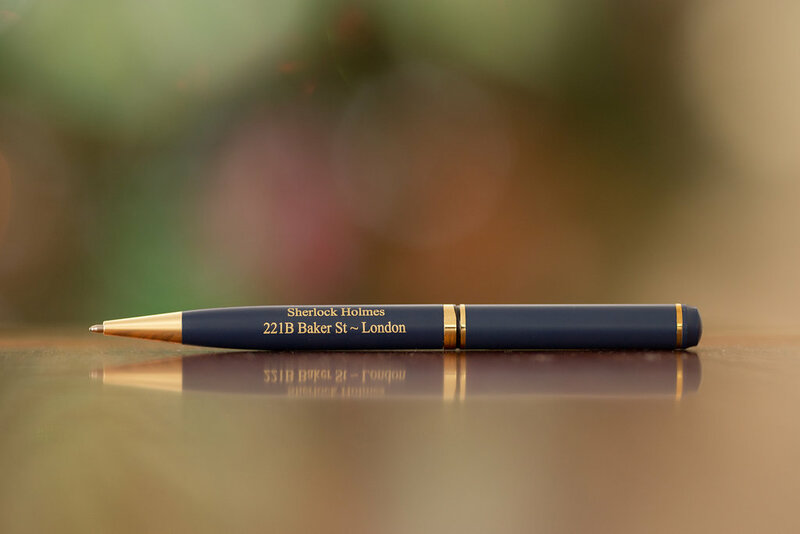 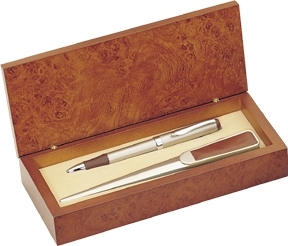 An ideal gift of appreciation fit for any occasion, this 221B Baker Street executive gift set will look great in any office. 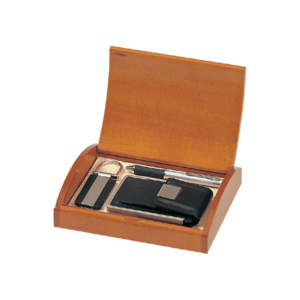 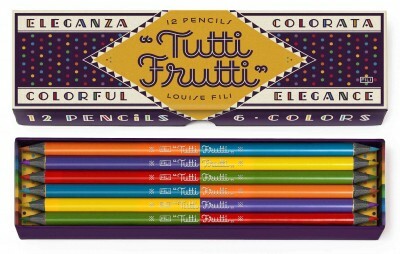 It includes a leather keychain, a leather business card case, and a matching ballpoint pen with silver-tone highlights. 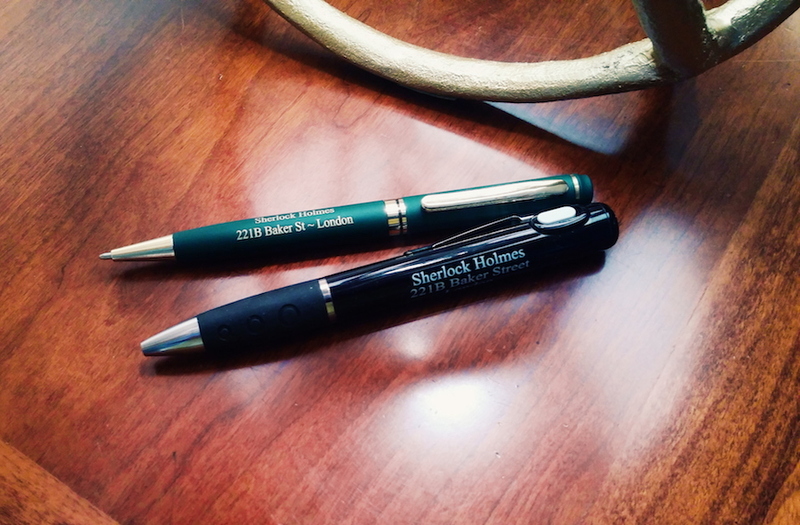 These business accessories come packaged in a cherrywood gift box that are perfect gifts for the Sherlockian in your life.